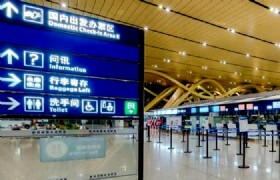 Our best value Kunming Package in 2015. 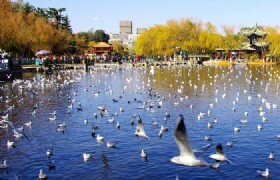 Visit the beautiful Spring City of Kunming, at the mean time enjoy authentic Halal meals every day. 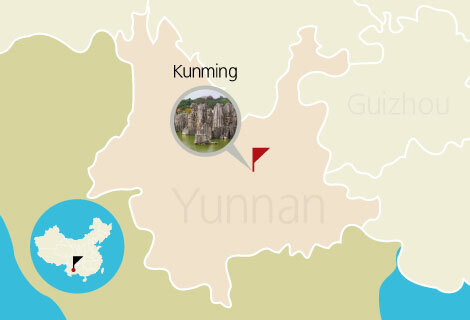 Detailed Itinerary: As the capital city of Yunnan Province and the well-known “City of Spring”, it is the home to more than one third of China’s ethnic minorities and the world of plantations. After a warm welcome, our guide we will accompany you to check in the designated Hotel, later have dinner at local restaurant. Detailed Itinerary: Our morning breakfast at Hotel Restaurant. The first place in today’s program is Green Lake Park - the most popular park in the city. 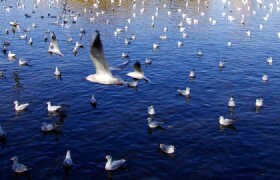 Since 1985, it has become the home for red-beaked seagulls travelling long from Russia. The park’s natural combination of emerald-like water & weeping willows are also liked by local people. And then visit silk museum. Today’s prayers will be held at Shun Cheng Mosque. 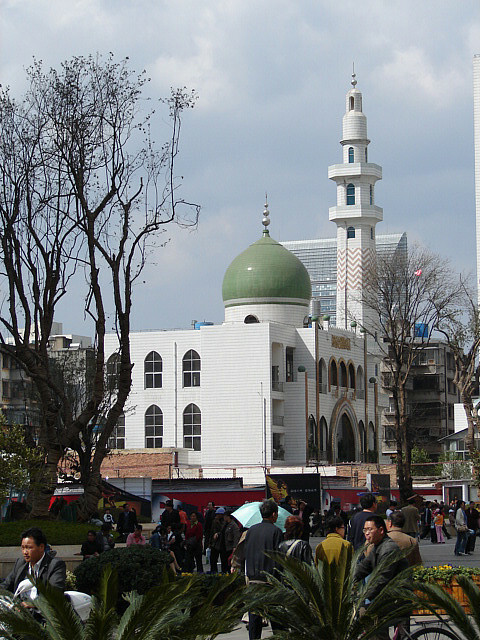 First built in early 1425, it is one of the most famous Mosques in China, and the headquarters of Islamic Association in Yunnan Province. 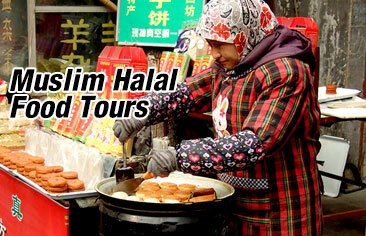 We will have our HALAL Lunch at local area. 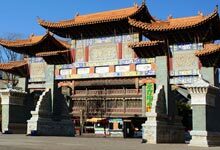 After some free shopping time in nanping pedestrian street and Jinbi Square where the symbol of Knming-Golden Horse & Jade Rooster Archway stay , later at night you can have an option tour watching Yunnan Dynamic Show. Detailed Itinerary: After hotel breakfast, visit pearl museum and Baofeng wetland park, then visit Guandu old town where you will have your free time shopping there. Have lunch in local Muslim restaurant. 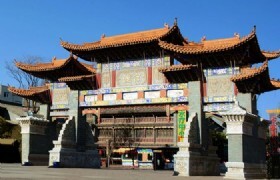 Guandu Ancient Town: Guandu Ancient Town is a famous historic and cultural ancient town in Kunming. 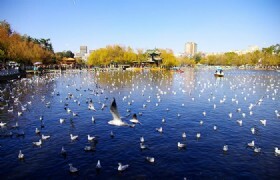 It is located in southwest suburb of Kunming City, about 8 kilometers from the city center. 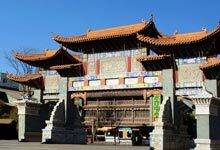 With its beautiful scenery, rich historical and cultural heritages, Guandu Ancient Town is a hot tourist destination to visit for tourists during a Kunming tour. Detailed Itinerary: After breakfast, we will enjoy Tea Ceremony on the nation-renowned Pure Tea. 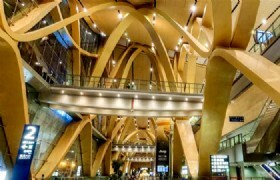 to pick the finest products, later we are heading for the airport for the departure flight home, Kunming/Kuala Lumpur. 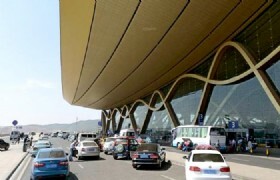 Wish you enjoyed a nice trip in Kunming. * Child with bed charge 90% of Adult, no bed charge75% of Adult. Infant Free.